Park Road 40 will be closed between the I-45 ramps on the nights of Tuesday, January 15, 2019 and Wednesday, January 16, 2019 from 6:00 PM to 7:00 AM. This closure is necessary to construct drilled shafts for portions of the new northbound and southbound I-45 bridges over PR 40. The median portion of the new I-45 overpass bridge is being constructed. Traffic will remain in its present configuration on I-45 until the new concrete pavement and bridge in the median are completed. The construction of the 6 miles widening project, Segment 1B of IH-45 from 0.5 miles north of Vick Springs Road to 0.3 miles north of SH 19 is under way. This project will widen IH-45 to six lanes and will replace the State Park Road 40 bridges and southbound SH 19 Flyover. During the 3-year project, multiple lane shifts and relocation of traffic will take place at various times to accommodate construction activity. IH-45 and SB SH 19 will also be closed at various times for safety of the traveling public and construction workers. 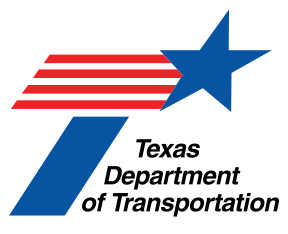 The reconstruction of IH-45 will take place in two major phases. Phase 1 is under way and will include the addition of Veteran’s Memorial Bridge, northbound SH 19 Bridge and a new southbound SH 19 flyover. Phase 2, will include replacement of the Park Road 40 bridges. Johnson Bros. Corporation, a Southland Company was awarded the construction contract for the amount of $116,878,722.89.